Rose M. Carrow, age 85, of Lynn, passed away peacefully Sunday surrounded by her family after a courageous battle with cancer, at the Kaplan Family Hospice in Danvers. She was the wife of the late Richard W. Carrow, Sr. with whom she shared 49 years of marriage. Born in Lynn on Feb. 27, 1933, she was the daughter of the late Marion (Promise) Mouyios and William Cleary. She attended Lynn schools and graduated from Lynn English High School, Class of 1950, and Burdett Business School, Class of 1953. 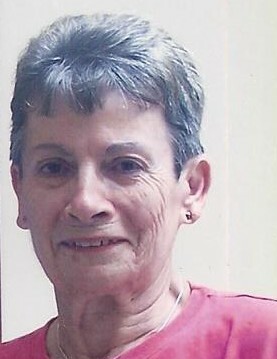 Rose was employed as a Bookkeeper and worked for several area businesses. Throughout her life she had numerous interests especially baking, knitting, gardening and traveling. In her later years she enjoyed spending time with her granddaughter Brianna and her “puppies”, Sammi and Shade. Rose was very active in the Order of the Eastern Star, where she was Past Grand Ruth and a Past Matron of Victory Chapter No. 157 of Marblehead (now Tontoquon No. 100 of Wakefield) and Melrose Chapter No. 14, as well as a Princess in Oppela Temple No. 50 Daughters of the Nile. She is survived by her two children Richard W. Carrow, Jr. of Lynn, Elizabeth M. and her husband Edward Wright of Hampstead, NH, one granddaughter Brianna R. Burke of Hampstead, NH, one sister Elizabeth O’Brien of Lynn, two sisters-in-law Geraldine Cleary of Salem, VA and Louise Cleary Salem, MA, and many nieces, nephews, great nieces and great nephews. She is predeceased by five siblings Stella Scourtas, William Cleary, Matthew Cleary, Lawrence Cleary, and Nancy Harvey. Service Details: Funeral services will be held at the Parker Funeral Home Friday at 10:00 AM to which relatives and friends are invited to attend. Burial will follow in Pine Grove Cemetery. Visiting hours are Thursday from 4:00 – 8:00 PM. Please make memorial donations in Rose’s name to Shriners Hospital 51 Blossom St. Boston, MA 02114.